By Dan Fitz-Simons: Since his only loss to Bryan Vera more than three years ago, Andy Lee 26-1 (19 KOs) has compiled 11 straight wins, 6 by KO. His diverse resume includes warriors from the U.S., Germany, Ireland, France, Senegal, Scotland, Argentina, Latvia, and the Congo. The EBU ranks him at # 2, the WBA and WBO # 3, Boxrec # 6, and the WBC # 7. The Limerick Assassin has also won the North American Boxing Federation (NABF) and North American Boxing Association (NABA) belts. At 27 Lee is in his prime, fighting 6 bouts in one year. He’s never been knocked down, and his string of wins have silenced rumors of a weak chin and poor stamina. Lee has been fighting frequently to stay sharp while waiting for another TV appearance. This strategy has paid off with increased visibility, an enlarged fan base, and a lucrative contract with HBO. Lee’s trainer, Manny Steward has also been carefully selecting the type of opponent Andy needs. His last two opponents, McEwan and Bunema were no tomato cans, and the seasoned Bunema provided Andy with a valuable boxing clinic that went the distance. Like his Kronk stablemates, Klitchko and Dawson, Lee has been trained by Steward with an emphasis on the offense. One of the strongest bangers in the division, the Castleconnell man can drop an opponent with either hand. The overhand left that caught McEwan was so devastating that referee Steve Smogger stopped the bout immediately; the Scotsman laid prone on the canvas for a full minute. That one KO punch established Lee as an HBO fan draw. Oddly enough, Lee isn’t rated as a top 10 middleweight by Ring Magazine, nor even a top 16 by Fightnews or the IBF. To be fair, the hard hitting Irishman does have some flaws. He backs straight out with no head movement and fights in spots, allowing opponents to beat him to the punch. Lee is at his best on the outside using his reach. However boxing is also styles, and Andy has problems with sluggers who can mix it up on the inside. Lee’s unorthodox style and poor television performances have given him the distinction of winning, but looking terrible in the process. Nevertheless, he loves to fight and will gladly take on anyone his promoter, Lou Dibella, puts in front of him. 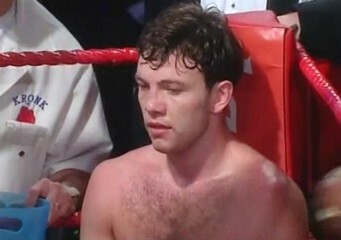 There are currently rumors he’ll return to his native Limerick in July to fight Anthony Fitzgerald. Others think Steward will place Andy on the Klitchko-Haye undercard in Germany on July 5th. Either option would serve as a tune up for a big money Vera rematch on HBO in September. Lee has already had offers from Sturm and Pirog, and other box office draws might include Macklin, Barker, Geale, or Chavez Jr. Andy Lee is on a roll.